Plans to bring a new memorial building and heritage centre to Knowsley Cemetery in Whiston, have moved one step closer. The Whiston Initiative in Cultural Heritage (WICH) group, which has been fundraising for more than 13 years to bring the new building to the Cemetery on Fox’s Bank Lane, has welcomed news of the appointment of Ainsley Gommon Architects to produce a detailed design for the building and oversee the construction. 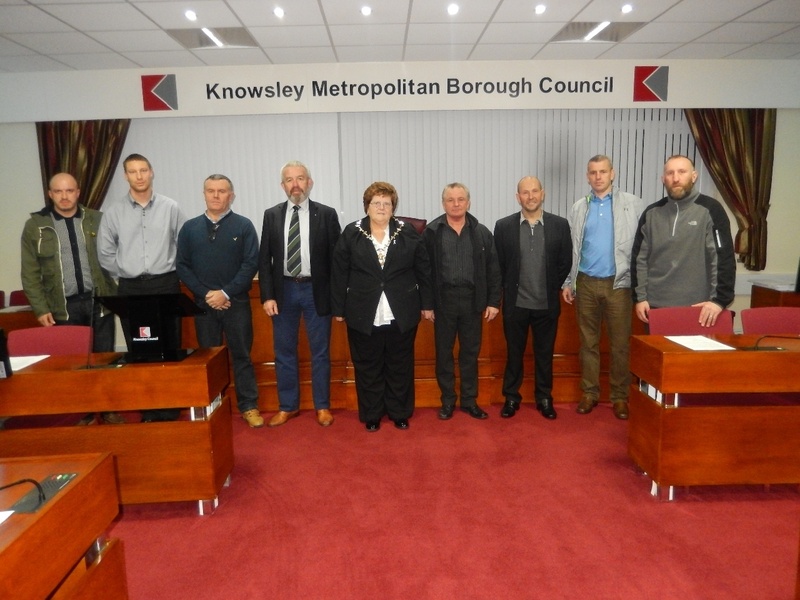 The group’s efforts have been supported by Knowsley Council and these plans will enable the council to appoint a building contractor to construct the building – with building work expected to get underway later this year. In June 2006, the historic Whiston Hospital chapel was demolished during the major re-development of the hospital. Unable to save the original building, the WICH group was formed with a commitment to build a new, non-denominational remembrance building at Knowsley Cemetery, with much-needed disabled toilets. The group was able to preserve several artefacts of the original building, including the stained glass windows and stonework, to include in the new build. Thanks to the efforts of volunteers, sponsors and donors, the building will shortly begin to take shape, with a number of local businesses lending their support to the scheme. Funding is still urgently needed to complete the building. For information on how to make a donation, sponsor a stained glass window in memory of a loved one, or an engraved floor tile please see the WICH Group website or their funding page. Rays Family have asked us to inform you of the funeral the service will be held in St Helens Crematorium Rainford Rd, Saint Helens WA10 6DF at 3.30pm on Thursday 7th February 2019. Family flowers only please but donations if so desired to be made to the W.I.C.H group. 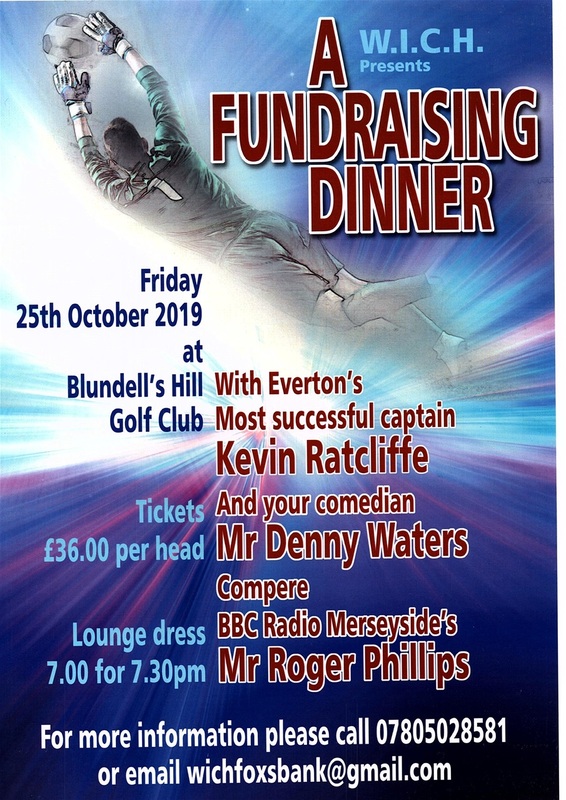 A celebration of Ray’s life will be held after the service at Prescot Manor Bowling Club South Avenue Prescot and everybody is most welcome to join Sheila and the family. 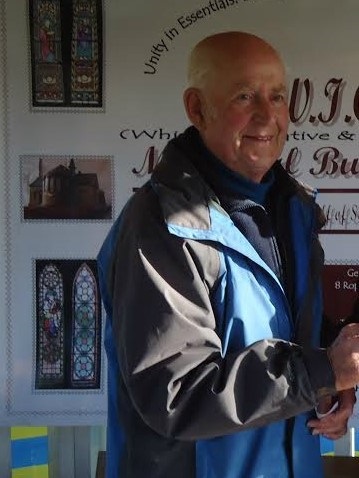 It is with great sadness that we must inform you that Ray Bennett has passed away the group wish to send Sheila and her family our deepest sympathy. Ray was dedicated to the W.I.C.H project and was a past chairman of the group my he Rest In Peace. Thanks for all your support as you can see you have help us make over 5k in the last year we all must push on to build this memorial building for the people who have supported the group. Can we say a big thank you to evryone who supported fron sponsors and the local community on the night we raised £3000.05.85p thank you all . Thanks to Simon Mahoney from Barbour ABI for his kind donation for the auction at the sport's dinner on the 16th of November.a paragraph. 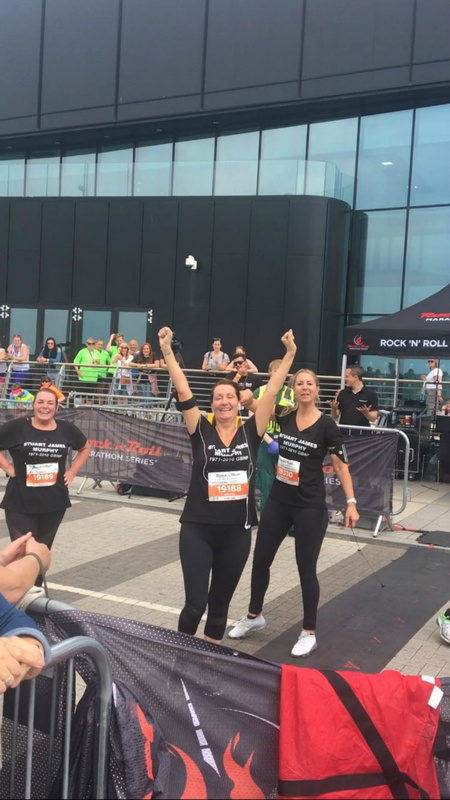 Recently a local resident by the name of Susan Mchugh contacted the W.I.C.H group regarding fundraising and told us that she was running the Liverpool Half Marathon (which was included in the Liverpool Rock & Roll Event) in May to raise vital funds for the group. This was because she lost her partner Stuart James Murphy, who was laid to rest in Fox’s bank cemetery in 2010. We designed the sponsorship form for Susan along with the gift aid information, so whoever sponsored Susan we would receive the income tax back from their donations. Susan made £500.00 along with her sponsors who made gift aid plagues; this made a grand total of £625.00 for the W.I.C.H group. We are truly grateful for all the enthusiasm & hard work Susan put into the Marathon, and thanked her for her fantastic achievement. Susan is seen here at the end crossing the finishing line. Just a update on the Building fund we are now standing at over £101.854 thanks for your support . Norma Roscoe from the W.I.C.H group was presented with the £10.000 cheque from Paul Hughes (Director) & Samantha Noonan from I-PAYE, at their Headquarters based in Knowsley Business Park on Thursday 25th January 2018. 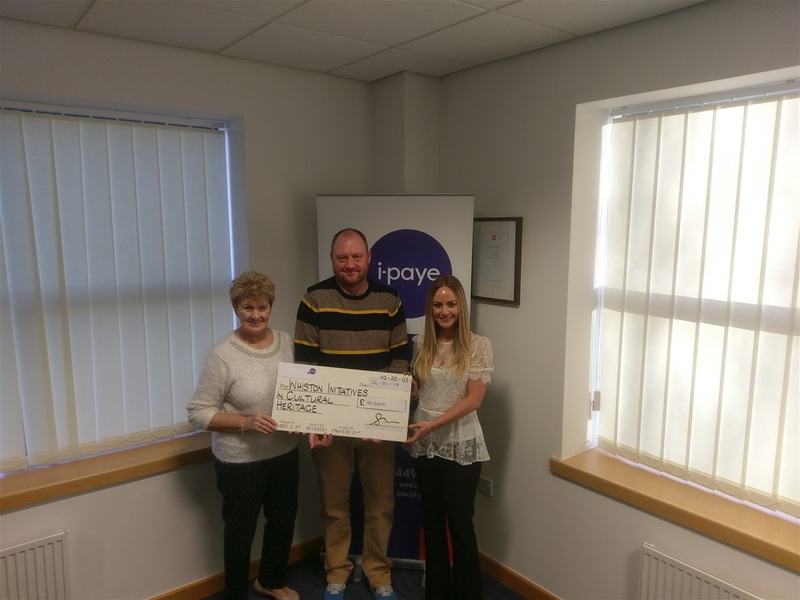 I-PAYE are a firm of Chartered Accountants, who work for numerous Companies and for the NHS Payroll, they are also a service company which provide a range of services - from raising invoices to insurance packages for their clients. They have chosen our Charity because of the dedication & determination of the group of volunteers & community, who did not want to see Whiston’s Heritage disappearing. The Memorial Building with its entire heritage built into it, will be a reminder for future generation to come of all the people who sponsored, donated etc who spent years trying to obtain this dream. 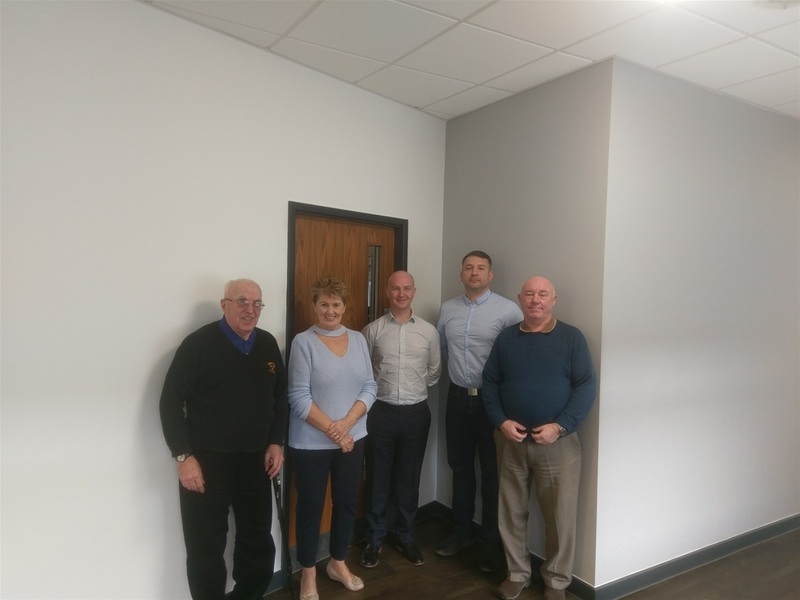 The W.I.C.H group are happy to announce that on Friday they met up with Paul Blennerhassett Group Manager for Sterling Services along with Stephen Jones Contract Manager Company at their Headquarters on Knowsley Business Park. Paul has offered his company’s services to Project Manage the building of the Memorial Build at Fox’s Bank Cemetery in Whiston. The group wish to put on record their sincere thanks and say ‘It just shows what kind and considerate people we have here in the borough of Knowsley’. Norma Roscoe who was at the meeting said: “We are over the moon with the outcome from this meeting and a big thank you to them for doing this work for us free of charge”. Sterling Services will now be working with Knowsley Council to finalise a few things along with our architects, so we can get the building up and water tight as soon as possible. W.I.C.H is bidding to bag a massive cash boost from the Tesco Bags of Help initiative. Three groups in every Tesco region have been shortlisted to receive the cash award and shoppers are being invited to head along to Tesco stores to vote for who they think should take away the top grant of the £4,000. Voting is open in Tesco’s Prescot, Whiston & Tarbock Express stores from: 1st September – 31st October. Customers will cast their vote using a token given to them at the check-out in store each time they shop, pleasetake up your offer of tokens and use them wisely by voting for us. You may not be aware but, we are a Voluntary Community Charity Group & have been together for over 12 years. Our aim is to provide a Memorial Building with much needed toilets in Foxes Bank Cemetery. The Memorial Building will provide a space for peace & solitude; which has been paid for mostly by the community in remembrance of their loved ones, whose names can be enshrined in the building on a floor tile or on a remembrance tree. The building will still retain its original shape which will be a remembrance of the Chapel that once stood in the grounds of the old Whiston Hospital, and thus become part of Whiston’s Heritage with its stained glass windows & distinctive shape. We would like to thank every one of you, who have helped us in all our fund raising schemes, & who have made donations via My Donate & bucket collections, and all those who have held sponsored events on our behalf. Without your generosity this would never have been achievable, but is now well on its way to being a dream completed. Tesco’s Bags of Help project has already delivered over £33 million to more than 6,400 projects up and down the UK, and we could be one of them with your help. Following on from some incidents and comments that where made by members of the public at the plant a bulb for a loved one please note this letter from Knowsley Council who are helping us with this project . In June 2006, the historic Whiston Hospital Chapel was demolished during the major re-development of Whiston Hospital. Unable to save the original building, the Whiston Initiative in Cultural Heritage (W.I.C.H) Group was formed with the purpose of re-creating the historic chapel with a new, non-denominational Remembrance Building at Knowsley Cemetery, Fox’s Bank Lane, Whiston. They were able to preserve several artefacts of the original building, including the stained glass windows and stonework. 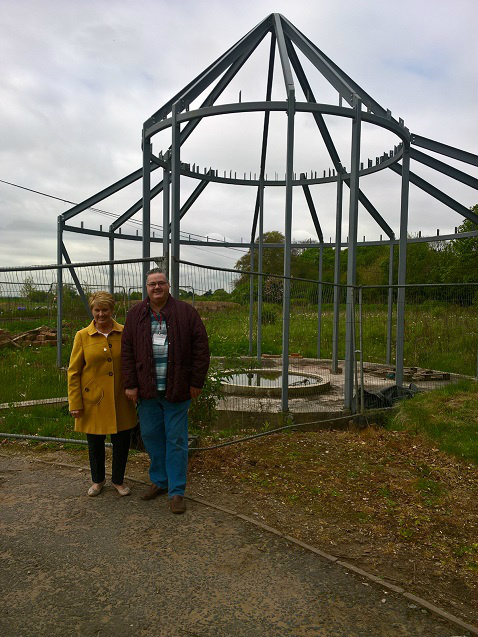 Thanks to the fantastic efforts of many volunteers, donors and supporters, the building has started to take shape, with the foundations laid and steelwork erected in 2015. Knowsley Council is fully supporting this project and will take ownership and maintenance responsibilities of the building when complete, which will house a public book of remembrance. The Council is currently providing assistance to the W.I.C.H Group to manage the project and develop the next phase of construction which will be to complete the external works so that the building will be secure and watertight. The build is not straightforward due to the incorporation of the reclaimed elements from the demolished chapel within a modern building structure. Some of the reclaimed materials that were proposed to be used have been found to be either no longer available or not suitable. This means that delays have been caused as alternatives have had to be sourced, plans amended and an application for an amendment to the planning consent submitted. A new Planning consent was granted on the 6th October 2017. The Council is now working with the W.I.C.H Group to move the project forward which will involve the production of the detailed architectural designs and procurement of a Principal Contractor to undertake the building work. The members of W.I.C.H Group have worked tirelessly in their fundraising to bring this project to fruition and the Council would like to congratulate the Group on their significant achievements to date. Whilst sufficient funding has been raised to construct the building to a point where it is watertight, the Group will need to continue with their fundraising to enable the internal works to be completed and the building to be utilised. 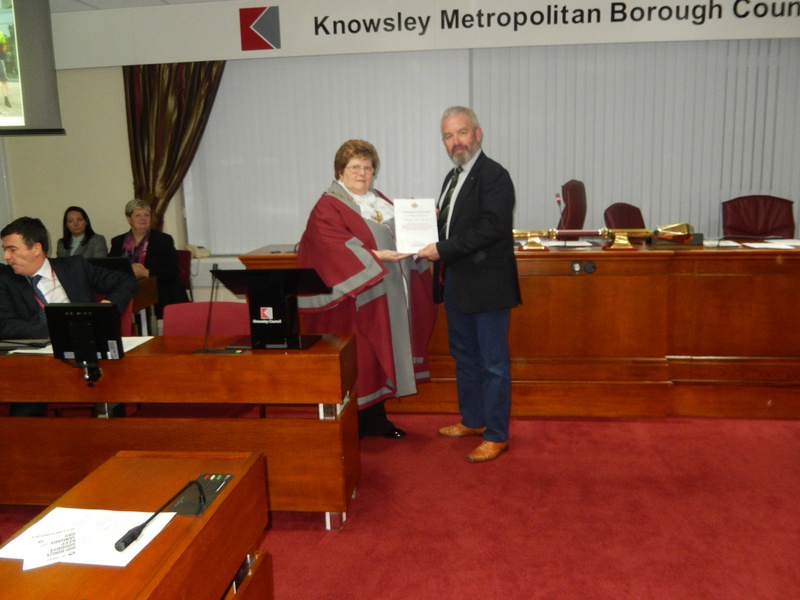 The Council will continue to support the Group in their efforts to ensure that the Remembrance building is completed to provide a key community asset for the users of Knowsley Cemetery. At this stage it is envisaged that the next stage of construction work will start in Spring 2018. If anyone has any questions about the Council’s involvement in this project, please contact Natalie Naisbitt on 0151 443 2486. A local Whiston resident, Andrew Foster who has adopted the aims of the W.I.C.H group, came up with a FANTASTIC idea of a charity football match between the All Stars from Bolton Wanderers Football Club & Prescot Cables Community to raise much needed funds towards the construction of the Memorial Building, in Foxes Bank Cemetery. The weather was glorious until later in the second half, were the two teams played on in the heavy downpours. It was a spectacular hard fought game, both sides giving their all, the goals came thick & fast until eventually there was a clear victor which not surprisingly was Prescot Cables Community, with the final score of 10-2. This is not saying the All Stars were rubbish or they deliberately let them win, (No) the two teams were mixed, because it was unfair for professional players to play the community, but it just goes to show the talent in the Prescot Community Team. The spectators enjoyed the match and the display of talent on the field no matter who had the ball or scored, or who was playing in which team. Any football scouts, who are reading this and looking for talent, should go along and just watch Prescot Cables Community in action and see for yourselves. The W.I.C.H group would like to thank Andrew, the Mayor of Prescot & her Consort, all the staff from Prescot Cables who served drinks & food, the Morris Dancers for their display, and everyone else who participated in making it such an enjoyable event. Volunteers have been helping to pave the way for the long-awaited new memorial building and heritage centre at Knowsley Cemetery in Whiston. 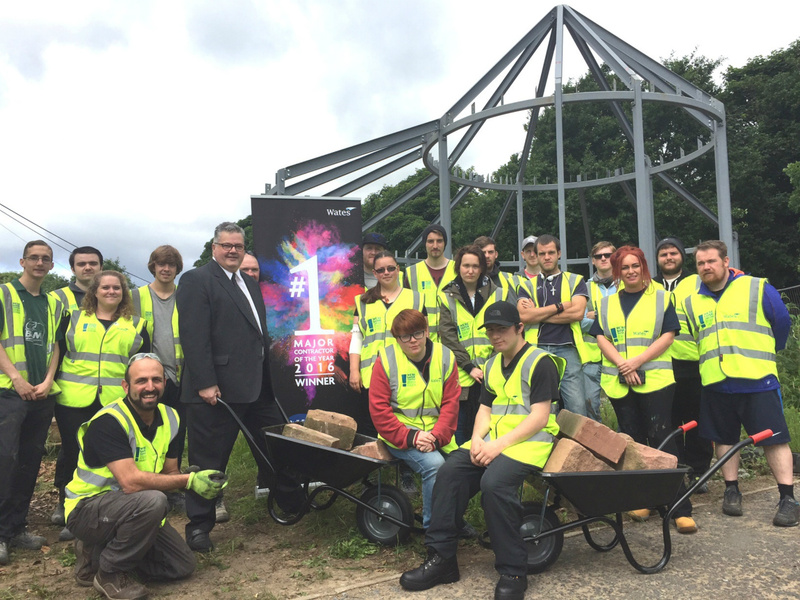 Workers from Wates Construction - currently working to deliver Prescot’s new Community Fire and Police Station - and young people involved with Merseyside Fire & Rescue Service’s Prince’s Trust programme volunteered their time to help clear the site in preparation for the start of building works. They have also helped out with grave levelling, turfing and creating hanging baskets for the cemetery. The volunteer project at Knowsley Cemetery formed part of the Wates Group’s ‘Reshaping Tomorrow’ week, a national programme that coincided with National Volunteers’ Week. Throughout the week, the business’ 4,000 employees donated their time to help local good causes. 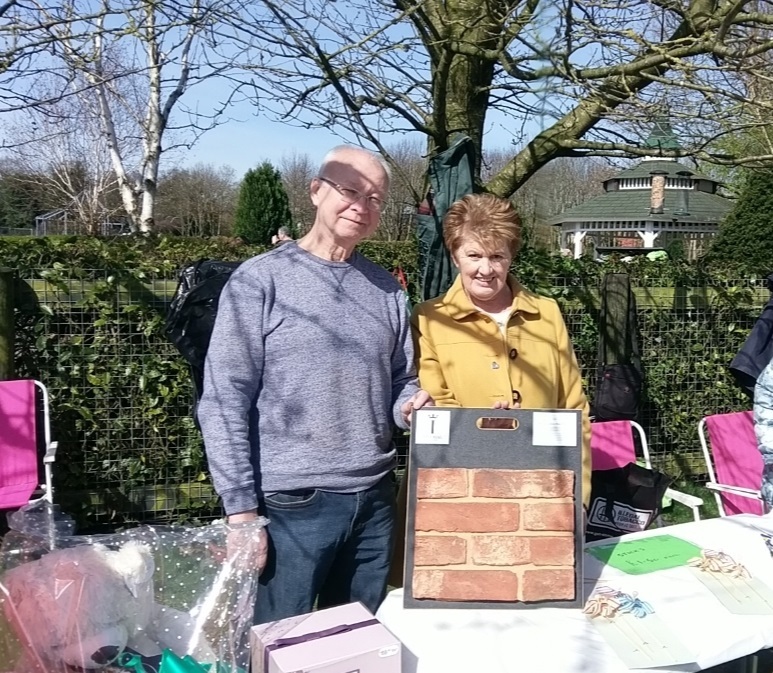 In recent years, the Whiston Initiative in Cultural Heritage (WICH) group has been working hard in organising events to raise money for the memorial building. The group has raised around £80,000 and is hoping to see construction work begin in the coming weeks. They have also received help from VINCI construction to the value off £35,000. When complete, the memorial building will feature many of the original features from the demolished Victorian workhouse chapel at Whiston Hospital, including stained glass windows and stone work. 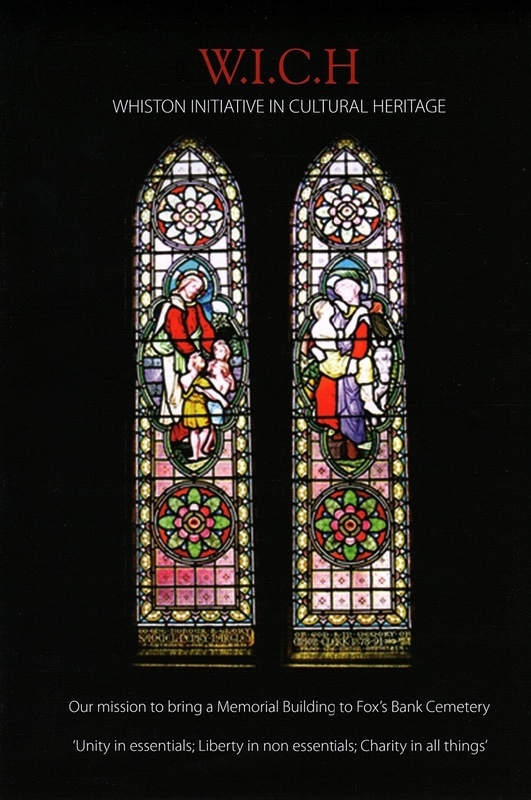 As well as providing a place for quiet reflection for those visiting the cemetery, the memorial building will also feature a heritage exhibition and a unique computerised book of remembrance. 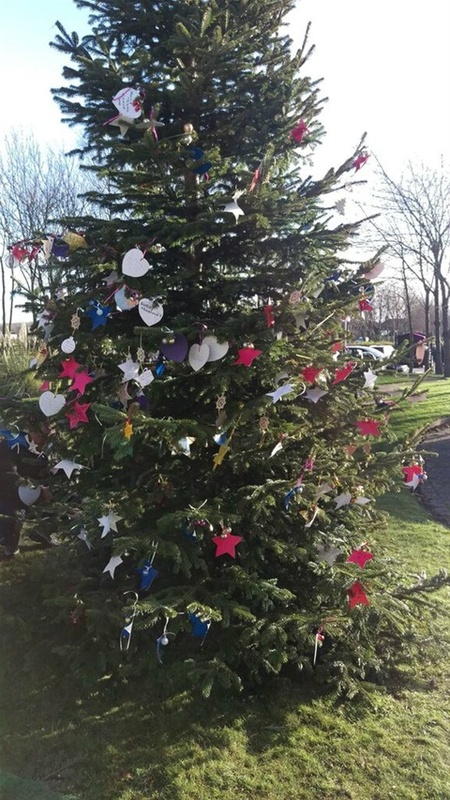 Cllr David Williams, Vice President of WICH, said: “Knowsley Council has been working closely with WICH, partners and local businesses to enable the centre to be built and provide a unique space for cemetery visitors. Anthony Dunn, Programme Support Worker with Merseyside Fire & Rescue Service Prince’s Trust Team, said: “This was a great opportunity for the young people who are part of our Prince’s Trust programme to be involved in an important project for the community in a really hands-on way. 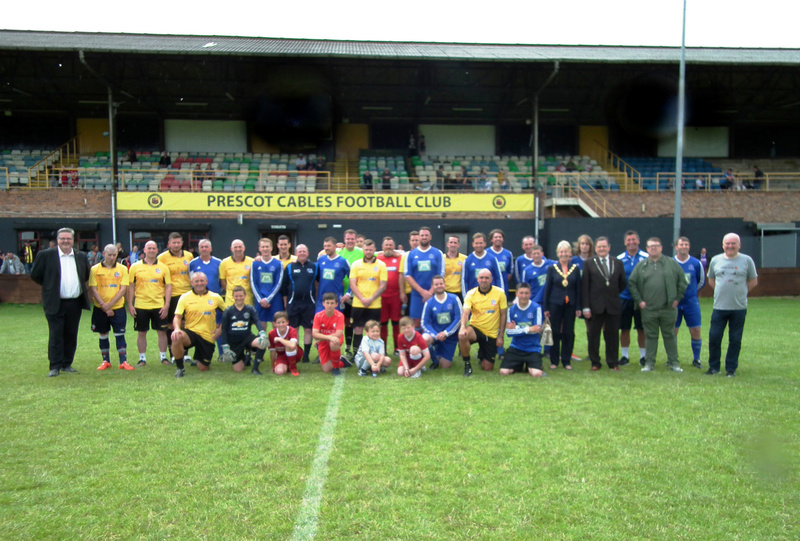 On July 30th, 2017 at Prescot Cables AFC I will be supporting a charity football match with the help of Tony (Zico) Kelly: a former professional footballer at Liverpool FC, Bolton Wanderers Fc and many more who is a legend in our community. The funds will help towards the erection of a Memorial Building in Knowsley Cemetery Foxes Bank Lane, where people can sit & reflect in tranquillity whilst visiting their loved ones, or use the much needed toilet facilities and even use the interactive memorial book which will be on display in the completed building. As someone who lives in ...the surrounding area I would also like to reconnect with the community & bring them together again, as the spirit of a community can lift everyone. If you would be willing to give up a few hours of your valuable time to help out and play in the game. The W.I.C.H group have today had a meeting with Josh Steiner from Wates construction group building the new community fire station at Prescot and want to work along with our group to help out during the next stage of the project. 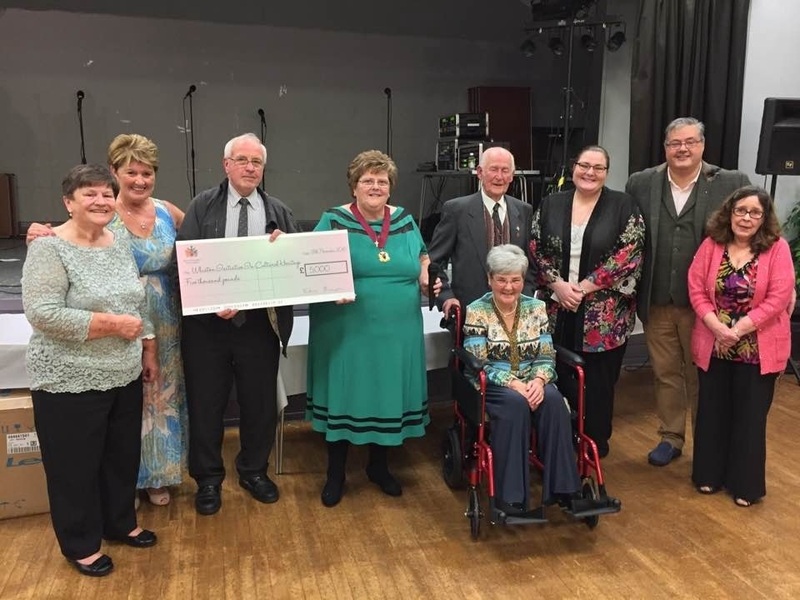 The past Mayor and Mayoress of Knowsley Cllr Edna Finneran and her daughter in law Michelle Finneran joined the W.I.C.H Group Charity night at Whiston Town Hall last night to make a donation from the Mayors Charity fund from her year in office in 2015/16 .In all Enda raised over £18.000 pound in her year in office and to night she made a donation to the W.I.C.H group to the sum £5000.00, Norma Roscoe from the fund raising committee said the group where thankful for the support that Edna and Michelle in her year in office and thanked her for the kind donation. The W.I.C.H group are deleted to announce a Donation of £1000.00 from The Duchy of Lancaster Benevolent Fund to help rebuild the Memorial building. As most of you will remember in the summer a group of cyclists left from knowsley to ride fro Lands’ End Cornwall on a cycle journey of 970 miles (or thereabouts), to John O’Groats a route known affectionately as the ‘LEJOG’ in the team the youngest rider was 25 and the oldest 61.The team raised over £25560.00 and this was divided up between local charity’s. In recognition for all their hard work some of the team where invited to Knowsleys council’s meeting in Huyton to receive a certificate for all the work they had done to help local charities are picture show some of the team with the Mayor of Knowsley and Cllr Williams from the W.I.C.H group . On behalf of the W.I.C.H we would like to say a Big thankyou to the team that took on the challenge of a sponsored bike ride from Lands’ End Cornwall on a cycle journey of 970 miles (or thereabouts), to John O’Groats a route known affectionately as the ‘LEJOG’ in the team the youngest rider was 25 and the oldest 61.The team raised over £25560.00 today we received a cheque for the grand total of £7.700.00 which will be put to good use on are building fund. We are now only £57000 pound short so if you can help in any way please pay a visit to are web page www.wichfoxsbank.co.uk for more information. A big thank you to the Mayor of Knowsley for making us one of her designated charities with this in mind we look forward to all knowsley councils work force helping out with a dress down day on Friday 29th June. Take a look at are fundraising drop down link watch us reach are target.